My father in law has a bit holder that doesn't actually allow the bit to turn unless enough pressure is applied. I've found that this helps to prevent cam out. I have not been able to find another one for sale. Would anyone have an idea of what it's called and how I could find it ? Unfortunately I don't have a picture of it. 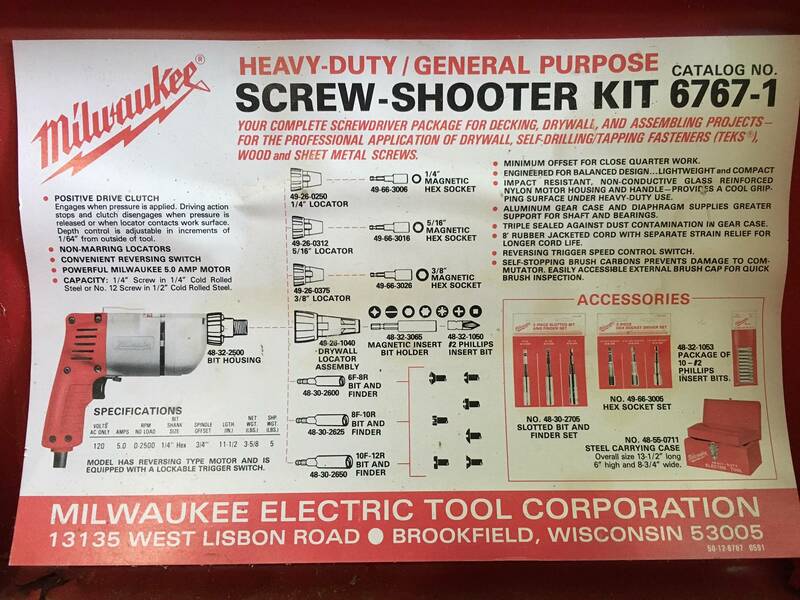 It came with a Milwaukee brand drill he purchased years ago that came in a metal box. The item in question looks long ( 4 inches about ) and thin ( pencil like ) with one end for the chuck and the other for the bit. The cylinder is smooth with no other features or adjustments like I would expect with a torque adjustable style. For a while I always thought the drill was broken because I didn't know that I had to apply pressure to get the bit to spin. Are you possibly talking about a drywall screw adapter? These have a custom set that allows it to cam out when the screw is driven deep enough, and would probably not engage the screw if you didn't have it pushed on hard enough. Here's another example that has a spring on the back end that might fit your bill too. I finally checked out the drill at my inlaws place and it turns out there is a special clutch inside of the drill. My mistake thinking it had something to do with the bit in the drill. Why do I go through so many philips bits? Which type of drill bit for which jobs? What is the best drill bit for MDF? 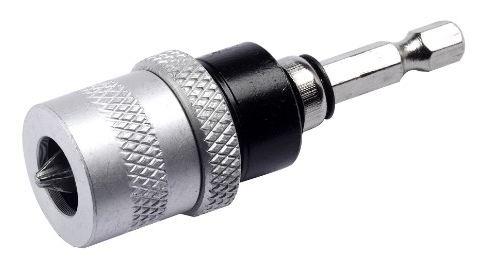 How to make a 3/4" flat bottomed hole?